Known for her fine translations of octosyllabic narrative verse, Patricia Terry presents translations of four major practitioners of this dominant literary form of twelfth- and thirteenth-century France. Her introduction discusses the varying views of women and love in the texts and their place in the courtly tradition. From Chrétien de Troyes Terry includes an early work, Philomena, here translated into verse for the first time. The other great writer of this period was Marie de France, the first woman in the European narrative tradition. 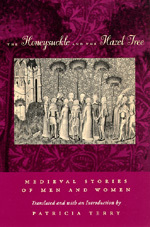 Lanval is newly translated for this edition, which also features four of Marie's other poems. The collection further includes The Reflection by Jean Renart, known for his realistic settings; and the anonymous Chatelaine of Vergi, a fatalistic and perhaps more modern depiction of love. Patricia Terry has been Professor of Literature at Barnard College and the University of California, San Diego. Her translation of Renard the Fox is available from California in paperback.